So, the other day I quizzed you; what did I intend to write based on this psychological research? Well, thanks for the comments, the Tweets and the emails – much appreciated. But no-one got the point – because there wasn’t one…! Ha ha, LOL, fooled you..! [swfobj src=”https://www.grahamjones.co.uk/wp-content/uploads/2011/06/pencil_questionmark.swf” align=”right”]The research actually reminded me of a psychological factor about attention; our visual attention system is geared to moving things. We are very bad at paying attention to static things. There is a clear evolutionary advantage in this. Food moves…! As hunters we need to pay acute attention to anything that moves. I have done ad-hoc tests on this to demonstrate how bad people are at noticing static things. When I am in a client’s meeting room, for instance, I will search out something static but which is also relatively unusual, so it should be noticeable. Things like round-pin electrical sockets, or screw holes left by equipment that has been removed, or a crack in a window – you know the kind of thing. Then I ask people to show me the “unusual electrical item” or the ” repair that needs doing” or “the stain on the carpet” – whatever. Frequently, most people are unable to do it – and then they say those magic words: “Funny, I’m in this room every day of the week and I’ve never noticed that before.” Part of the reason why it is so unnoticeable is because it doesn’t move. Static things just don’t appear to grab our attention. Unless, of course, they are completely unusual, indeed often unique. Nelson’s Column is noticeable, but there aren’t that many 169ft high towers with a bloke on top. Similarly, out of all the tower blocks in London, we notice “The Gherkin” in the City or “The Ark” down in Hammersmith. They stand out, they are dramatically different. So, how does your blog stand out? Take a look at the blogosphere – it’s all much of a muchness. Apart from the designs, the colours and the headlines, one blog looks much the same as another – including, I admit it, this one. 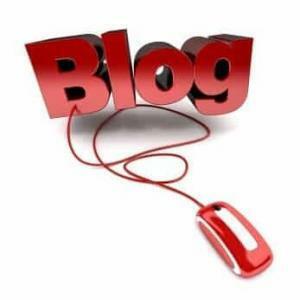 Here’s the problem – until relatively recently, blogs were new, interesting, different. Now they are everywhere. The same is true on Facebook – one Wall entry looks much the same as another; it is all blending into a mish-mash. In other words, the time has come to be different; to make your mark, to stand out. There are two ways to gain attention online; be so different and unusual you stand out from the crowd – rather like Nelson’s Column or The Gherkin. I was “different” the other day when I asked what my blog post would be about? Not my usual style, regular readers noted…! The second way is to move – static doesn’t work. Put pictures in different places each day, use animation, video – any trick you can think of. Essentially, if our blogs are not to get lost in the static mish-mash of page after page of text online we need to “stand out” and be different. Indeed, research does indeed show that the familiar is contemptible. We simply don’t think it is worthy of our attention. And therein lies the problem online. We need familiarity to make it all work – if every site’s menus were in different places, you’d spend half the day trying to find your way around AND getting mighty annoyed. The fact that most sites have menus that are in familiar places means we can find our way around; yet it also means we don’t really take that much notice of them either. Plus, if day after day, your blog – like mine – is so familiar it feels like a comfortable old pair of slippers, then it is in need of change to make people pay attention once more. Indeed, has the time come to do something completely different? It’s blogging Jim, but not as we know it…?